You are here: Home / Aging / Tetra-C A Shelf Stable Topical Vitamin C Derivative! Tetra-C A Shelf Stable Topical Vitamin C Derivative! Tetra-C or Tetrahexyldecyl Ascorbate – Stable form of vitamin C that is considered an analogue of L-ascorbic acid. 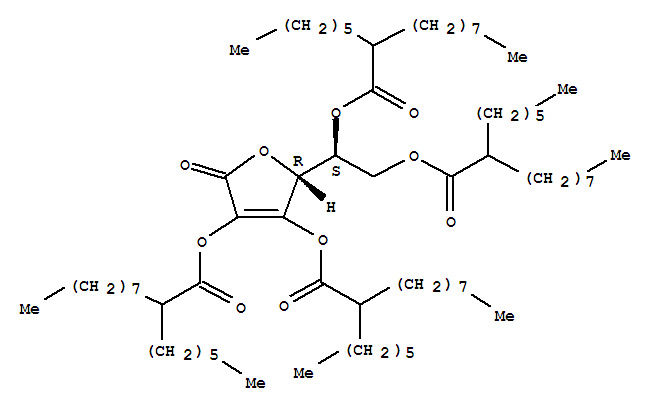 Unlike pure vitamin C (ascorbic acid) tetrahexyldecyl ascorbate is lipid (fat) soluble. Some researchers believe this form of vitamin C has greater affinity for skin,it has a higher rate of penetration (because it is lipid soluble, like human skin) than other derivatives; it also has a higher rate of conversion to vitamin C within the dermis. This form of vitamin C has been shown to stimulate healthy collagen production and reduce wrinkle depth. It has the ability to stimulate the skin to produce glycosaminoglycans, natural moisturizers that allow skin to absorb moisture from the body itself. It remains stable in air and water for up to 18 months, allowing it to serve as a long-lasting antioxidant. Because this ingredient is effective in lower concentrations than traditional Vitamin C, it is less expensive for formulas, and has also been found to be gentler and work in some people who are resistant to ascorbic acid and is sulfate safe.